Masterful reworkings of Julian Barnes’ The Sense of an Ending, Maylis de Kerangal’s Mend the Living, and Sarah Waters’ Fingersmith transposed to Korea head another bright batch of literary adaptations and biopics opening in UK cinemas in April. Here’s a selection to keep you dazzled in the dark at your favourite film venues for weeks to come. Chilean director Pablo Larraín (The Club, Jackie) conjures a beguiling ‘anti-bio’ of one of his country’s key figures, the poet and diplomat Pablo Neruda (Luis Gnecco). Based on Neruda’s escape across the Andes to exile in Argentina in 1948 as he fell foul of an anti-communist witch-hunt, Larraín has him pursued by a fictional detective named Oscar Peluchonneau (Gael García Bernal), who is both implacable nemesis and admiring acolyte. As their tenacious, slapstick cat-and-mouse chase gets personal, the proud poet seizes the chance to cement his legend as an internationally lionised symbol of liberty. Terence Davies’ elegant biopic of Emily Dickinson features a haunting central performance from Cynthia Nixon as a smart and fiercely determined woman cut down by illness, loneliness and frustration at her lack of recognition as a poet in her lifetime. Claustrophobically set mostly within the walls of the Dickinsons’ estate at Amherst, Emily’s passions, principles and failures are laid bare through pointed exchanges with sister Vinnie (Jennifer Ehle), brother Austin (Duncan Duff), mother Emily (Joanna Bacon) and acerbic friend and champion Vrying Buffam (Catherine Bailey). Davies and Nixon make unerring use of key poems to underscore the emotion. Jim Broadbent stars as befuddled curmudgeon Tony Webster in this smart reimagining of Julian Barnes’ Man Booker-winning novel, adapted by award-winning playwright Nick Payne. When Tony receives an odd bequest from a former flame’s dead mother, he’s confronted by episodes from his youth that he’d chosen to gloss over for more than forty years. Emily Mortimer is a delight as depressed temptress Mrs Ford, and Charlotte Rampling’s controlled peevishness as grown-up Veronica is a tour de force. Director Ritesh Batra (The Lunchbox) is a perfect fit for this characterful, slow-burn psychodrama. 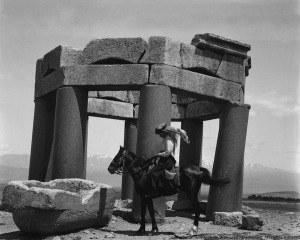 Tilda Swinton narrates as Gertrude Bell in Zeva Oelbaum and Sabine Krayenbühl’s dramatic documentary about the most powerful woman in the British Empire: a spy, explorer and political powerhouse who shaped the modern Middle East after World War I. Using previously unseen footage of the region, the film chronicles her extraordinary journey into both the uncharted Arabian desert and the inner sanctum of British colonial power. The story is told entirely in the words of Bell and her contemporaries, excerpted from letters, diaries and official documents, in a unique look at a remarkable woman and the tangled history of Iraq that continues to shape its present. A charming twist on the usual rags-to-riches boxing yarn, Juho Kuosmanen’s debut feature tells the true story of Olli Mäki (Jarkko Lahti), the Finnish boxer who had a shot at the 1962 World Featherweight title – and failed. A talented and modest athlete, Olli’s life in sleepy Kokkola is transformed when he is swept to national stardom and feted as a symbol of his country on the run-up to his bout with American champ Davey Moore. In a race against time, he just about manages to get down to his fighting weight, but he’s disarmingly distracted by the new love in his life, Raija (Oona Airola). Winner of the Un Certain Regard Prize at the 2016 Cannes Film Festival, it’s beautifully stylised in black-and-white with a period-evoking soundtrack, and Finland’s weather plays a big part as Olli trains and loafs about in some of the most torrential rain that can ever have been committed to film. 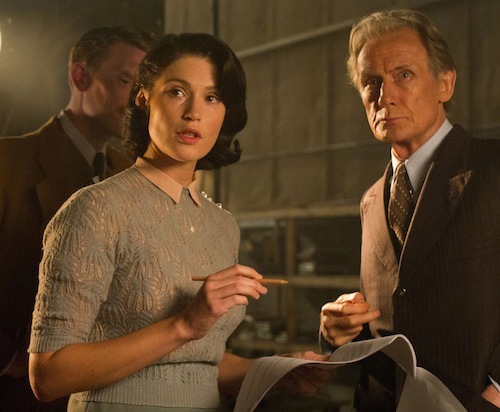 An easy-on-the-eye, gently humorous, occasionally moving, unabashedly old-fashioned film based on Lissa Evans’ comic novel Their Finest Hour and a Half. Directed by Danish director Lone Scherfig (An Education), Gemma Arterton stars as Catrin, a young Welsh woman who moves to London during the Blitz, applies for a job at the Ministry of Information, and is selected to write ‘women’s dialogue’ for morale-boosting movies designed to lift the nation’s spirits. She runs up against the pompous, ageing former matinee star Ambrose Hilliard (Bill Nighy), whose career would be well and truly on the skids if all the more eligible actors weren’t off fighting the war. Against all odds (if not audience expectations), they find a way to work together to make a drama that warms the cockles and keeps Britain carrying on. Everything comes together in Katell Quillévéré’s third feature, adapted from Maylis de Kerangal’s Réparer les vivants (published in English as Mend the Living). The performances of an ensemble cast including Tahar Rahim (A Prophet), Emmanuelle Seigner (The Diving-Bell and the Butterfly) and Anne Dorval (Mommy), and a pared-down score by Alexandre Desplat (The Grand Budapest Hotel, The King’s Speech) are perfectly pitched in a touching tale of loss and gifted life. When carefree teenage surfer Simon (newcomer Gabin Verdet) is left brain-dead after an accident, his estranged parents (Seigner and Kool Shen) consent for his organs to be donated. Claire (an unrecognisably fragile Dorval), battling with a degenerative heart condition, has doubts about the opportunity to extend her life, but agrees to go under the knife, supported by her own college-age sons and a former lover. “Careful, no powerful emotions,” Claire cautions a loved one. No such luck for the transfixed viewer. William Oldroyd’s feature debut adapts Nikolai Leskov’s 1865 novella Lady Macbeth of the Mtsensk, which was first published in Dostoyevsky’s Epoch magazine (in which the opening chapters of Notes from Underground first appeared). 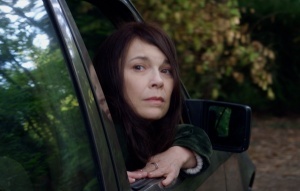 Also a screenwriting debut for actress and playwright Alice Birch, the action is transferred from northern Russia to rural England in the same period, where young Katherine (Florence Pugh) is sold into a loveless, spite-laden marriage to middle-aged and impotent Alexander (Paul Hilton), and subsequently begins a passionate affair with one of the workers on the estate. If you’ve an idea what the original Lady M was like, you can perhaps guess the consequences. Pugh’s pent-up rage is startling, and Hilton’s malice tangible. The film has been a huge hit on the festival circuit, picking up multiple nominations and prizes for its youthful star and director. Adapted from Diane Ackerman’s bestselling biography, this is the real-life story of Antonina Żabińska (Jessica Chastain), a working wife and mother who became a hero to many during World War II. Under the stewardship of Antonina and her husband Jan (Johan Heldenbergh), the Warsaw Zoo has flourished. When the Nazi’s bombs drop and their troops invade, her first thought is to save the animals. Fighting back on their own terms, Antonina and Jan begin working with the Resistance – saving human lives in what has become the Warsaw Ghetto. Stirring stuff, but the film is oddly tame in terms of genuine tension as it lolls towards its vapid conclusion that animals can be less animalistic than people. Niki Caro (Whale Rider) directs from a screenplay by Angela Workman.